Today’s strip provided by Carlo Ostrout of Life… After Death (http://lifead.thewebcomic.com/). Carlo’s comic has a very cool premise, and an excellent art style, and you should check it out. 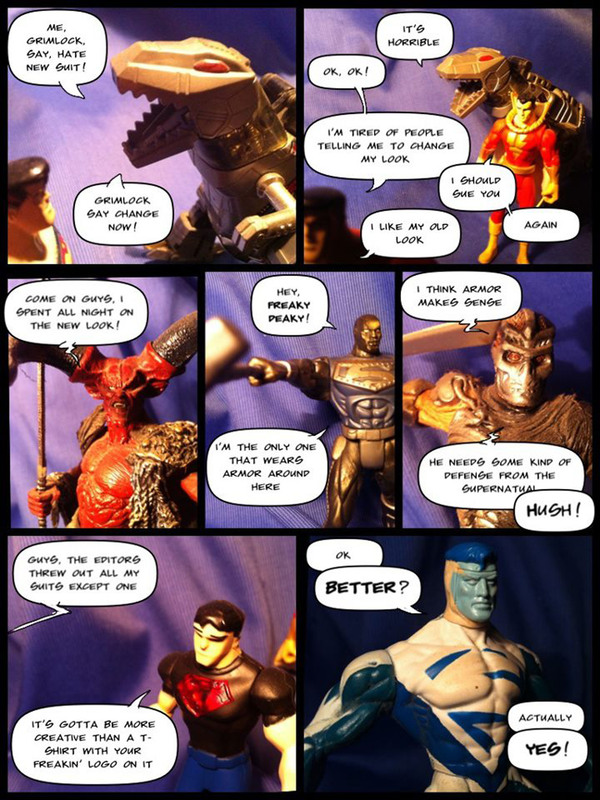 However, I am pleased as punch that he has gone with a talking with toys style for his guest strip. Love it! And yeah… DC sure knows how to dress ‘em, eh :)? What about his mullet? He needs his mullet back! Hero in the front, party in the back! Isn’t the red/blue Superman thing like fifteen years old at this point? Well done, Carlo! You really captured the spirit of TWT!